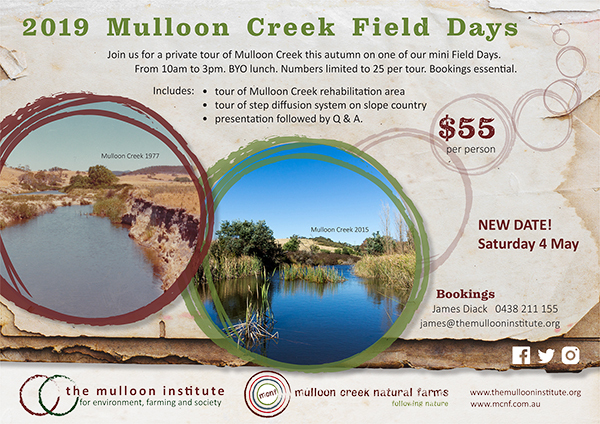 Join us for a private tour of Mulloon Creek this autumn on one of our mini Field Days. From 10am to 3pm. BYO lunch. Numbers limited to 25 per tour. Bookings essential. presentation followed by Q & A.